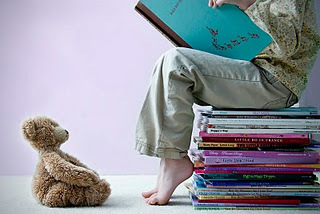 Kids at The Shelf is an original feature started here at The Sweet Bookshelf. Our in house group of kids review middle grade and young adult titles and let you know what they think! Authors: Rachel Caine, Claudia Gray, Ally Condie, Kami Garcia, Margaret Stohl, Carrie Ryan, Jackson Pearce, Rachel Vincent, Melissa Marr, Kelly Armstrong, Sarah Rees Brennan, Jeri Smith-Ready, Kimberly Derting, Jessica Verday, Mary E. Pearson, Jennifer Lynn Barnes. 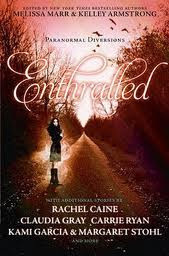 Enthralled is a great book to read after dark. For day's after reading it, I was looking over my shoulder for ghosts, and cannibal girl scouts. I have not been so scared by a book in a long time. The book is an anthology of 16 stories and each story has a personality as unique as the authors who wrote them. This book has everything from ghosts to vampires in a rock band to living gargoyles. It is not gloomy though and has multiple love stories and plenty of paranormal encounters. This book is perfect for anyone who like young adult romance or the paranormal. Thanks for the review Morgan! Sounds scary!! Maybe perfect for Halloween or those who enjoy a thrill! Some of those authors are my favorites!